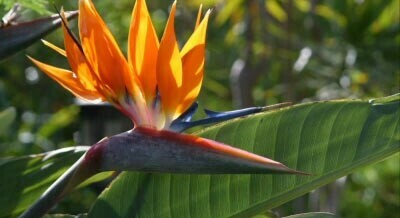 Are interior tropical plants affected by the winter? The period of winter dormancy in outdoor plants, shrubs, and trees is easy to see and is taken for granted with the changing of seasons. But what about interior tropical plants? We often receive questions about whether tropical office and house plants are actually dormant in the winter. Based on what we see and experience in our plantscapes, tropical plants do not enter a true winter dormancy period in an interior environment.. The much-loved Phalaenopsis orchid is a member of the family Orchidaceae, the second largest family of flowering plants, consisting of over 20,000 species! In addition, commercial producers of orchids have developed over 100,000 horticultural varieties. The name philodendron derives from two Greek words meaning ‘love’ and ‘tree’. In their natural habitat, philodendrons are almost always associated with trees, either starting from seed high in the canopy of large trees or lower on the trunk. They take water and nutrients from the tree initially, then send down thick aerial roots to obtain nutrients from the soil. These roots can be seen on a few varieties commonly used as houseplants and can reach incredible lengths. A long-standing staple of interior landscapers, members of the Dracaena are hardy, low-light tolerant tropical office plants. Their long arching leaves add a simple elegance to groupings, mass plantings, or as a single specimen in a modern container. One of the newest varieties is the Limelight Dracaena. The Limelight Dracaena is characterized by its unique, vibrant colour. The leaves are bright neon green, and they stand out beautifully against plants with more traditional dark green foliage. 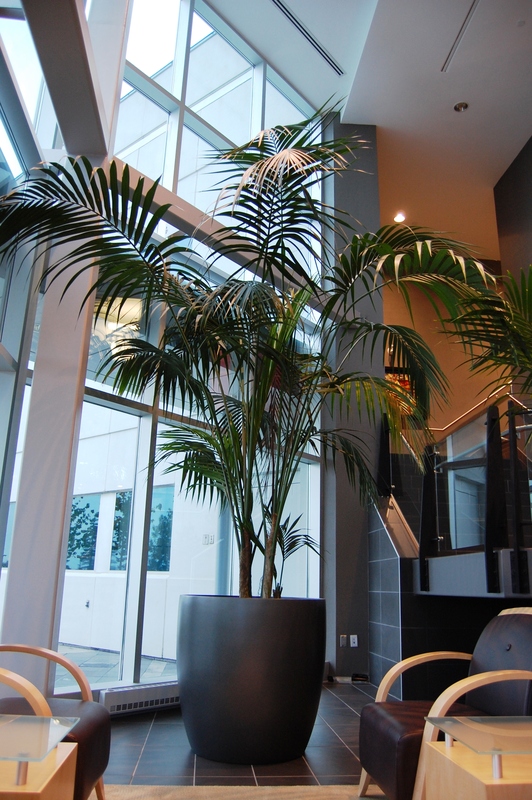 The Kentia Palm is our personal favourite and the plant we have chosen for our company logo. It is a premium palm, having elegantly curving fronds with long slender leaves. We use it frequently in entryways, lobbies and other areas of offices that require a plant with impact.